Bethesda Game Studios, the award-winning creators of Fallout 3 and The Elder Scrolls V: Skyrim, welcome you to the world of Fallout 4 – their most ambitious game ever, and the next generation of open-world gaming. Key Features: Freedom and Liberty! Do whatever you want in a massive open world with hundreds of locations, characters, and quests. Join multiple factions vying for power or go it alone, the choices are all yours. You’re S.P.E.C.I.A.L! Be whoever you want with the S.P.E.C.I.A.L. character system. From a Power Armored soldier to the charismatic smooth talker, you can choose from hundreds of Perks and develop your own playstyle. Super Deluxe Pixels! An all-new, next generation graphics and lighting engine brings to life the world of Fallout like never before. From the blasted forests of the Commonwealth to the ruins of Boston, every location is packed with dynamic detail. Violence and V.A.T.S.! Intense first or third person combat can also be slowed down with the new dynamic Vault-Tec Assisted Targeting System (V.A.T.S) that lets you choose your attacks and enjoy cinematic carnage. Collect and Build! Collect, upgrade, and build thousands of items in the most advanced crafting system ever. Weapons, armor, chemicals, and food are just the beginning – you can even build and manage entire settlements. The Bethesda Softworks Fallout 4 PC Game was added to the PC Games category in June 2016. 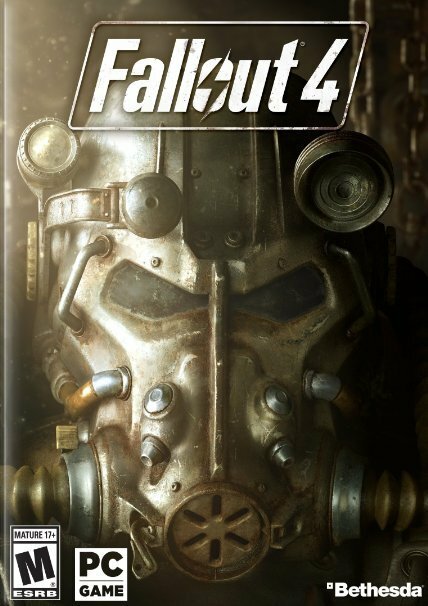 The lowest price GetPrice has found for the Bethesda Softworks Fallout 4 PC Game in Australia is $24.95 from The Gamesmen. Other merchants who stock it are The Gamesmen, Mighty Ape, DVD Land.